The Boxercise workout uses the entire body. Cardiovascularly you burn more calories in an hour than using a stairclimber. You use your whole body your arms, your legs and the time flies as you work on body movement, agility and momentum. Boxercise is based on the training concepts boxers use to keep fit. The difference is that boxers try to retain their energy while boxing but boxercisers expand their energy in exchange for burning calories at a very high level. Workouts can take a variety of formats but a typical one may involve shadow-boxing, skipping, hitting pads, kicking punchbags, press-ups, shuttle-runs and sit-ups. 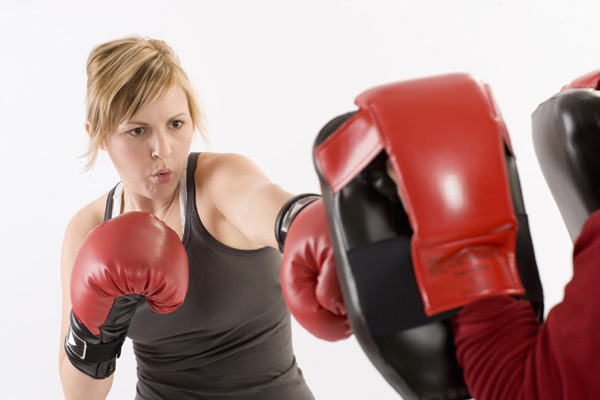 Boxercise is aimed at men and women of all ages and fitness standards. As boxercise does not involve the physical hitting of an opponent, it is a fun, challenging and a safe workout.